Our side of the fence has been busy busy busy and I couldn't be more glad that tomorrow is finally the last day of this work week. I've been wanting this week to end already so bad. Really need a break. July is proving to be a really tough month for me work-wise. I'm already feeling tired and it's only been four days. Oh my! Does her outfit scream very 4th of July or what? She couldn't come at a better time. So adorable! You're probably sick and tired by now of reading how much I love my dolls. Well, guess what? I'm currently planning for a proper reveal post real soon with this new one too. Haha! Stick with me, okay? 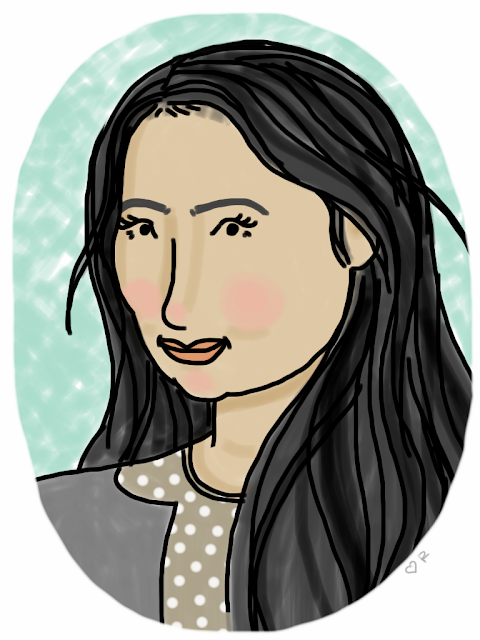 The next surprise is from the fabulous Rachele of The Nearsighted Owl. This girl is brimming with so much talent and I've always been a huge fan of her drawings. She just sent me earlier my custom digital portrait and I'm over the moon because of it. This is the first time someone has ever made a portrait of me and it's so cool. Fantastic portrait! Just wonderful-- what a treat! 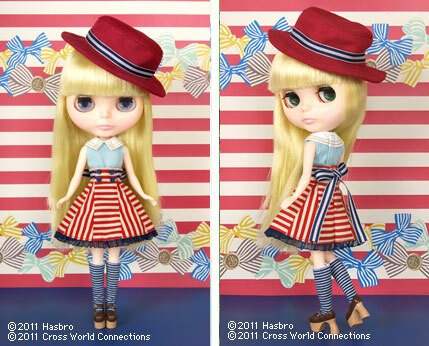 Aww I want a Blythe doll! The reveal sounds like fun. =) Pretty portrait! haha she knew exactly how to dress for the date! :P love the blythe doll, it's so pretty. and it's so sweet you got a portrait made for you!